Today in LGBTQ History is an ongoing project of The Lavender Effect that launched in September 2012 on The Lavender Effect Facebook page. 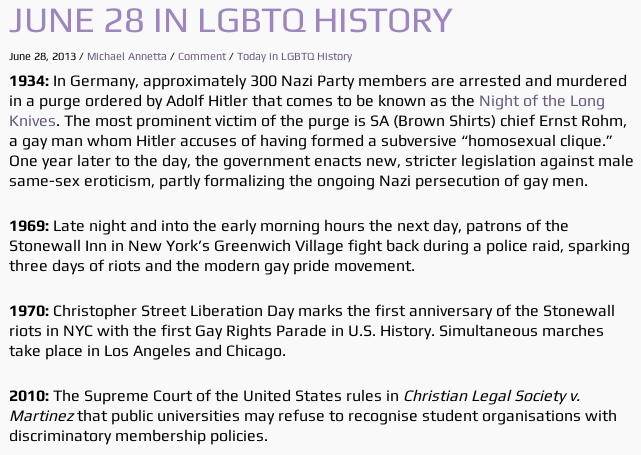 The project collects and distributes daily facts about LGBTQ history and culture, reaching as far back as the High Middle Ages all the way up to the present, where LGBTQ history is being made every day. 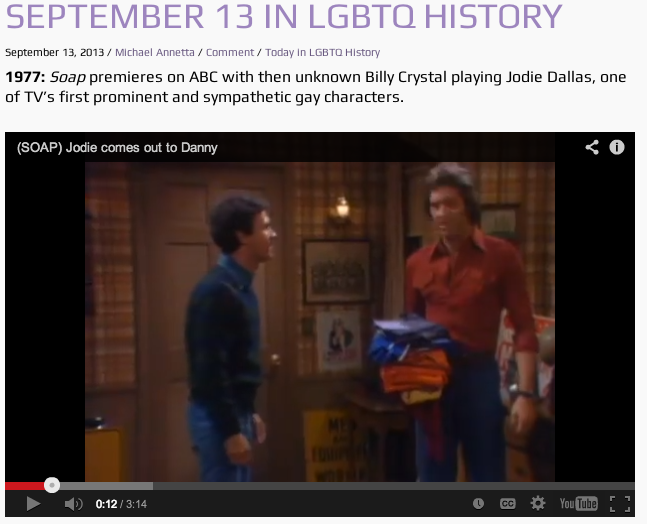 We gather data from a variety of academic and online sources regarding notable events in LGBTQ history. This research is placed into a database that tracks the month, day and year of the event. The project is only concerned with specific historical events that can be traced to a specific date (which excludes historic movements or events whose details have been lost to history, but does not exclude starting or ending dates of multi-day historical events, like the Stonewall Riots). We currently have a full year’s worth of data with at least one historically significant event occurring on each day. The database is constantly expanding. The project is spearheaded by Consulting Advisor, Michael Annetta. As the project grows, we plan to bring in noted LGBTQ historians to review, add to and academically cite all of the entries in the expanding database. The content is posted daily through various social media channels. Primarily the full daily content is blogged on The Lavender Effect website and linked from our Twitter feed. Additionally, each day a single historical item is highlighted on our Facebook and Google+ pages.